After viewing a film about how the faith of Holocaust survivors kept them strong during the Shoah, I noticed very little spotlight shone on those survivors whose faith, in contrast, was shattered or conflicted. Where is the film on their anger or disengagement from G-d, I wondered? Sure, there are famous personal memoirs of survivors’ spiritual struggles, but where is the overall representation of the spectrum in between those who kept their faith and those who left it? These burning questions, along with my own personal journey of spirituality and faith, propelled me to explore, with honest intentions, sans judgment, how Holocaust survivors, who suffered and witnessed such terrible atrocities, relate to spirituality, faith and religious beliefs. I interviewed several mental health professionals, rabbis and chaplains who work with survivors, as well as some survivors themselves. At first I was disappointed, not hearing much spiritual material. Then I realized that not every professional working with survivors is spiritually-minded, and even if they were, they didn’t necessarily bring spirituality into their work. Interesting. I also came to appreciate that not every survivor is spiritually minded, and even those who are could have a reason not to delve too deeply into issues of spirituality, faith, and G-d. During the war they focused on mere day-to-day survival, and after the war they were bent on rebuilding their lives, so there was no mental space for many survivors to ponder the meaning of their suffering, not to mention the meaning of life in general. However, many survivors even in later life are still uninterested in discussing spiritual issues, nor do they seek opportunities to do so. When questioned, some survivors admitted that, “I don’t need to go there. G-d died in the camps,” or “If I go down that road, given what I witnessed, I’m not sure I can come back.” Some may have no conclusion to make, because what they saw was beyond human comprehension, and, therefore, beyond discussion, spiritual or otherwise. I, somewhat shamefully, backed off. Their lack of response is poignant and to be respected. Those with internal, iron-clad walls, whether conscious or subconscious, maintain them for good reason. Eventually, my quest led me to chaplains and other staff at Metropolitan Jewish Hospice System (MJHS) in New York, to social workers at New York’s Selfhelp Community Services, to the director of the Department of Spiritual Care at Toronto’s Baycrest Centre, and to other mental health practitioners, all of whom serve Holocaust survivors. These professionals were not only unassuming, beautiful people, but were also very spiritually oriented. They opened doors into deep internal issues of faith and spirituality that Holocaust survivors struggle with, particularly those who are in palliative care. I was struck with awe, deep regard, inspiration, and respect for these people and for the work that they do every day. I am honored by the depth of their sincerity, compassion, sensitivity, care, and lack of judgment with regards to the patients who they so humbly serve. The following article presents my unbiased findings from mostly in-person, individual, or group interviews, the latter of which fostered much profound discussion. I hope this article brings to light the unique and very special perspective of spiritual-care providers of Holocaust survivors, particularly chaplains working in palliative care. I used various definitions of spirituality, separate from “religion” or “faith,” including “the search for meaning in life events and a yearning for connectedness to the universe” (Coles, 1990), and “a person’s experience of, or a belief in, a power apart from his or her own existence” (Mohr, 2006). Although educated in all sects of Judaism, the perspective of the chaplains and other professionals I interviewed transcends judgment and religious labels, such as Orthodox or Reform Judaism. Their primary goal is to connect to their Jewish patients, seeing them simply and clearly as Jews. For these professionals, it’s about being present with their clients. “All Jews are part of our family,” says Rabbi Leonard Blank of MJHS with meaning and eloquence. This is the underlying message staff at MJHS convey to their clients. It is clear that their hearts and souls are in their work. Generally, chaplains see themselves as caretakers who can facilitate their clients’ spiritual goals, whether it’s connecting to the Jewish community, Jewish practice and philosophy, or the Jewish holidays. They do so in creative ways. Unlike hospital settings where the treatment is more compartmentalized or acute, these rabbis work within a multidisciplinary team of professionals and work with patients from a holistic perspective, encompassing the patients’ physical, emotional, mental, and spiritual world, and often work with them on a long-term basis. “We are looking at their journey,” says Rabbi Charles Rudansky of MJHS. When asked what their rabbinical presence triggers in their patients, there was immediate discussion about instilling trust and emotional safety that is their primary goal. “The relationships that the rabbis have with their clients are very unique from that of other professionals,” adds Toby Weiss, Director of Cultural Sensitivity and Jewish Programming at MJHS. “They create sacred space in the relationship; the clients look forward to the rabbi’s visits. And this is across the board, regardless of whether the patient is religious or not.” At the same time, chaplains acknowledged that patients may express anger at G-d to them, as they do see these professionals as representing Him and Judaism. Remarkably, the patient feels safe enough to be angry at G-d in the presence of the chaplain. Although Holocaust survivors share many spiritual end-of-life care issues with non-survivor cohorts, there are some concerns specific to this group. Rabbi Rudansky admitted he approaches survivor patients with “great trepidation, submission and humility, because of what they went through.” Rabbi Eitan Allen of MJHS agreed that when he approaches his survivor patients, he does so “with kid gloves and with tenderness, because one doesn’t know what memories or emotions will be triggered in this kind of relationship. You can touch them in ways you don’t anticipate or understand. There is potential for a lot more intensity.” And when a patient is losing cognition and is in distress, one doesn’t always know if the patient is experiencing present-day physical and emotional pain, or if they are reliving the pain from the past. The MJHS team pointed out to me that it can be difficult to differentiate between PTSD and the onset of dementia. Although there are no specific spiritual trends or patterns that could be applied to all Holocaust survivors, as every survivor has different social, psychological, medical, familial, religious, and historical components, the following are some notable issues in working with survivors. Survivors nearing the end of their life often reflect on the way they saw their loved ones die in the Holocaust, either by being forcefully taken away, by the gas chambers, by shooting, or other means. They compare that to their own anticipated death, which, in contrast, involves dying with dignity, usually in a home with children around them. They often want to show their children and grandchildren the vast difference between these deaths. Some carry guilt over actions they had to take during the Holocaust in order to survive, such as leaving a dead body behind or stealing documents from another family in order to escape, knowing that the other family may not survive. “Look,” said one survivor, “we were animals.” Some are carrying anger at other survivors for what they did to them during the war. One survivor hid visas for himself and his family and found them gone. His family did not survive while the other family did. Many survivors are very proud to be Jewish and cling steadfastly to their Jewish identity and to Israel (which represents hope for the future), whether they chose to be religious or not. They chose to raise their children with a strong Jewish identity in order to ensure that Hitler wouldn’t win. They feel proud that their children are not afraid to be Jewish and very blessed to be a part of a free North American society. A common theme that arises from survivors who were never affiliated with organized Jewish religious practice or who were disconnected from Judaism is the fear of how they will be accepted by G-d after their death. Despite past negative feelings towards G-d, as one survivor put it, “I was born a Jew and I want to die as a Jew.” In these cases, rabbis will reassure their patients. For many who connected with a Jewish community only after the war, doing so at the end of life can be very cathartic and meaningful. One rabbi mentioned a 90-year-old patient who asked for a bar mitzvah since he had never had one during the war. The ceremony was very impactful. 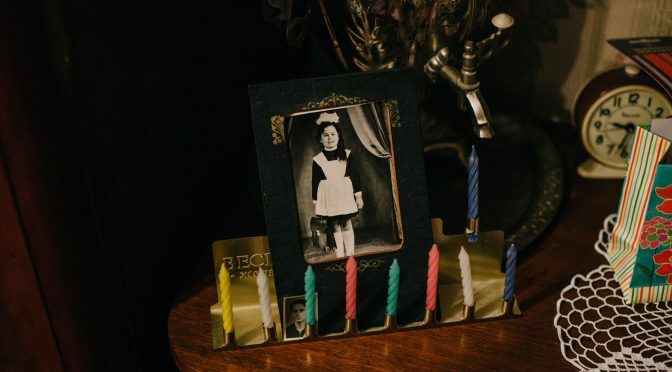 An interesting component of spiritual struggles specific to child survivors, whether exposed to Judaism or not before the war, is that they came out of the Shoah with only a dark, negative image of G-d and have no other frame of reference or image of Him. “So,” points out Rabbi Haber, “They feel abandoned by G-d, but are really bereft of other metaphors of G-d.” They may feel confused when they hear about a “compassionate G-d” in religion, because this does not correlate with their experiences and memory. Survivors who had a simplistic view of faith to begin with ended up with a shattered view of G-d, having nothing with which to replace this view. Some survivors came to North America and embraced a Canadian or American identity, fully rejecting their European and Jewish selves. Of those, some purposefully married out of the faith. Some survivors carrying resentment towards G-d and religion or resolute protective instincts towards their children made sure not to teach them about Judaism, leaving the next generation with no feeling towards Judaism at all. While denying their past, some demanded that their children marry within the faith, leaving the next generation confused about their identity. Some second-generation survivors found their way back to Judaism despite their lack of Jewish education. Of those survivors whose children and grandchildren married out of the faith, some survivors came to accept this and some deeply regretted not having any Jewish grandchildren to leave behind; they did not realize the impact of this possible outcome on their lineage. Others dislike their non-Jewish in-laws and some end up feeling betrayed by their children for marrying out of the faith. Other survivors don’t blame G-d at all for the Shoah, but rather they see people as the real perpetrators. In fact, they see G-d as having been present in those who risked their lives to save others. Some acknowledge G-d but do not relate to Him on a personal level. Others feel grateful that G-d rescued them and still others live in constant ambivalence about G-d and His role in the world. Dr. Alessandra Scalmati, a psychiatrist at Montefiore Medical Center in New York, explained that for many religious survivors faith was what kept them going, and what made them different from the Germans. One client remembered his father, who was also a rabbi, who taught him before the war that “you were chosen, you are different.” This client, however, would rage that G-d allowed the Shoah to happen to His chosen people. Many religious survivors remained religious after the war but are angry at G-d and never reconciled the faith of their youth, forever feeling that G-d didn’t live up to his end of the bargain. The social workers at Selfhelp Community Services recalled several religious clients who maintained their religious traditions, but who admitted that these felt meaningless; they only practiced them in order to maintain their connection to the family. There are also many survivors who remained religious after the war and feel very connected to Jewish practices. Many cannot imagine leading a non-observant life, so ingrained in them is their faith and religion. Finally, regardless of religious status or affiliation, the mourner’s prayer of Kaddish is the most important prayer to survivors and resonates very deeply. Now, at the end of their life’s journey, death triggered a lot of issues for the Holocaust survivor. A survivor expressed end-of-life feelings so eloquently, “I suffered so much, why do I have to suffer now?” One client who was against entering into hospice and palliative care stated, “I cheated death in the Holocaust. I can cheat death now.” And for those who are in-patient, the sight of the color yellow, of white coats, and of doctors triggers anxiety of which the patient is not even aware. Death brings up unfinished business, especially for survivors who have no living relatives to ensure their final wishes are carried out. (The role of MJHS and other programs is often to ensure a Jewish burial, and to appoint someone to say Kaddish.) Rabbi Haber also pointed out that there is unfinished grief from the loss of family during the Shoah, including self-berating feelings, feelings of guilt, and doubt about decisions they made during the war, even in situations where they didn’t really have options. The social workers at Selfhelp noted that many survivors are not just ready to “go,” they are eagerly awaiting death and actually find comfort in it, seeing death as a peaceful place with a merciful G-d.
As for the survivor who is forever angry at G-d or who disengaged from Judaism their whole life, chaplains have noticed some are adamant in their request for assurance that they would have a Jewish burial service and be buried in a Jewish cemetery. Many children of survivors have a very hard time signing a health-care proxy for their parents, because they don’t want to let their parents go. Some will opt for a feeding tube because they cannot let the parent starve, given their Shoah experience. Some children, in an effort to protect their parent from suffering, will resent the social worker who encourages the survivor to talk about their war experiences. Some survivors resent the fact that their children have it so easy compared to their childhood, or resent their growing up in a free society. Some children, despite their parents’ decline, still want their parents to take care of them, and are still resentful for having emotionally deprived childhoods. Many of the social workers indicated that it was hard to see survivors suffering alone without family, seeing how their children are not involved in their parent’s lives, especially when children do not come to the survivor’s funeral. Many survivors are grateful for their children and grandchildren, for dying with loved ones around them, and for proving that Hitler did not win after all. Those second-generation survivors who had very close relationships with their parents feel very bereft after their passing. Besides creating a safe space, a listening, non-judgmental ear, and validating their survivor clients, chaplains and mental health professionals use a variety of other interventions. When a survivor is scared or despairing, Rabbi Haber often asks, “Where did you find hope? How did you survive, how were you cared for even in the smallest ways?” He also uses a Rogerian approach, as well as active probing, and Michael White’s Narrative Therapy as a means to reframe the client’s life story. He gives his clients permission to be angry and tells them that “G-d actually wants to hear your anger.” Rabbi Haber also reminds them of their accomplishments and achievements and the struggles they surmounted. He cites examples of times when Moses or Abraham got angry with G-d, and uses Psalms and other Judaic sources that focus on giving comfort or are about crying out to G-d. The social workers at Selfhelp often use the question, “What is meaningful to you now?” They encourage clients to find meaning in current interests and activities, and in connecting to friends and family. Some hobbies that their clients enjoy include feeding birds, gardening, reading, going to public lectures, and listening to music. Hobbies involving food and food preparation have great significance; it’s an expression of connection, spirituality, vitality, self-care, and nurturance of others. The discussions I had with these beautiful, spiritual professionals were very moving and I regret not being able to cover everything I learned in one article. I noticed, however, a remarkable theme in the stories I collected: that of survivors’ steadfast iron will manifested in their determination to survive, achieve, defy Hitler, celebrate G-d, or even fight G-d. There is irony here. Hitler tried to rid the world of the Jews and what Judaism represents. But what was proven in the end is that no matter how evil society treated the Jews, how humiliated, starved, and desperate the Jews were, not only could the Nazis not rid the world of the Jewish soul, but even the Jews themselves could not and cannot deny the Jewish soul inside of them. The Jewish soul remains connected to G-d even in the face of Jewish defiance against G-d, and proof of this is in the defiant-towards-G-d survivor who is dying and demands that they be buried in a Jewish cemetery. And proof is in the survivor who left Judaism and is worried about how G-d will receive them after death. Being angry with G-d does not deny His existence, it actually reaffirms it. I am, therefore, in awe of the Holocaust survivor’s unwavering anger at G-d. I also admire survivors who kept their faith. Both maintained a connection to their Creator despite experiencing and witnessing evil. There may be survivors who went to their graves without any connection to Judaism or to G-d, but overall, it is the power of the Jewish soul that ultimately won. So while you can’t take the Holocaust out of the Holocaust survivor, you can’t take the Jewish soul out of the Holocaust survivor either. The Jewish soul cannot be destroyed. From MJHS: Toby Weiss, Rabbi Leonard Blank, Rabbi Charles Rudansky, Rabbi Eitan Allen and all the other chaplains who joined the group interview. From Selfhelp: Adeena Horowitz, LMSW Administrative Director of Nazi Victim Services, and social workers Lois Griff, Dana Kragh, Ashley Rearick, and Gisele Garelik. Rabbi Dr. Geoffrey Haber, Director of the Department of Spiritual Care at Baycrest Center of Toronto. Dr. Alessandra Scalmati, Department of Psychiatry and Behavioral Sciences, Montefiore Medical Center, New York. My parents, sister and the rest of the family; and Sori, a compassionate, non-judgmental support and catalyst to spiritual change within me; and to many others, including members of the Claims Conference Caring for Holocaust Survivors Facebook Group Page!